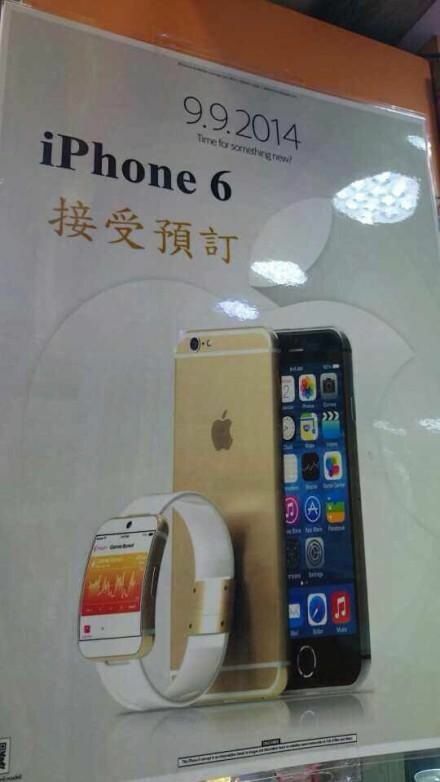 Hajek's rendering preview of the iPhone 6 on an ad in China. Photo: Kshitiz Jaiswal. Martin Hajek has developed a recipe of sorts for crafting stunning 3-D renderings of future Apple products that get shared around the Web and even used in advertisements while the world awaits the Cupertino company’s big reveal. Apple’s secrecy surrounding its upcoming products is legendary (notwithstanding one memorable breach by the Pentagon). Everyone wants to know what insanely great products Apple has up its sleeve, so the company goes to great lengths to protect its secrets. Workers prepping for today’s big event have had their phone cameras plugged with tamperproof tape so they can’t leak anything spied before Tim Cook takes the stage. Inside the vacuum created by a lack of real details, dreaming up Apple designs has become Hajek‘s hobby, he says, to the detriment of his social life. He spends most evenings and weekends imagining designs for a sleek, simple iWatch, a plausible re-envisioning of Apple TV and a gold version of the Mac Pro that we wish Apple sold. He shares dozens of designs from his website with blogs around the world – here at Cult of Mac we’ve published a ton of his almost-Apple creations – and sells 3-D renderings once the products become reality, too. The crafty designer creates highly detailed models of the iDevices, based on Apple’s own specifications, modeling them with NURBS for top-notch surface quality. 3-D-model buyers employ them for commercial renderings — to showcase designs for protective cases and other Apple-related accessories — and sometimes, his work gets stolen and appears in ads, like the above advertisement for the iPhone 6 that one of Hajek’s Twitter followers spotted in China. Hajek, who lives with his girlfriend near Utrecht in the Netherlands, has a degree in industrial design engineering. He put that to use for a boutique industrial design firm called Gro Design – which ideates everything from Samsung home appliances to streamlined scooters — for eight years before transitioning to a more technical support/sales kind of role. To keep his hand in design, his free time is devoured by building and rendering 3-D models of Apple devices. The Cupertino company’s sleek, modern products were often a departure point for the design team in brainstorming sessions, so Hajek says it was “logical” to keep up his 3-D skills by rendering beautifully designed Apple products. As for Apple’s expected unveiling of the long-awaited iPhone 6, Hajek says the only way he’ll be disappointed is if there are no new product categories from Apple before year’s end.